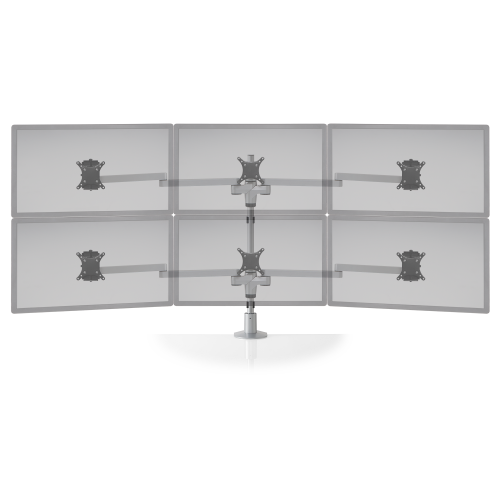 The Staxx™ multi-monitor stand mounts six monitors – two rows of three monitors side-by-side. The 3 over 3 features a space saving design with a clean aesthetic. Choose from several mounting options. The modular display system, Staxx™, is a completely configurable pole based system that supports up to six monitors. Once your system is locked into place at the desired height using the new anti-rotation clip and collar, a single modular component can support anywhere from one tilter head to several different combinations of arms and up to six monitors.